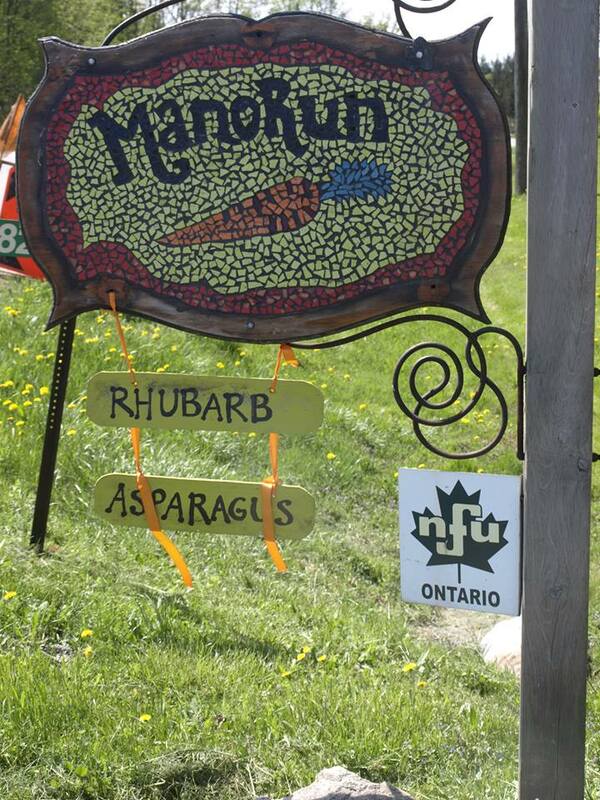 ManoRun Organic Farm is located in Copetown near the intersection of Hwy 52 and Governor’s Road. Copetown is situated on the rural border of Ancaster and Dundas – just a short 5 minute drive from either town. Chris Krucker and Denise Trigatti have been farming organically for over 15 years and offer organic vegetables, beef, eggs, jams and pickles through a “farmer to eater” relationship known as Community Supported Agriculture or CSA. The farm is 25 acres in total and includes vegetables, herbs, some fruit, pasture, grain and hay. Most of the work on the farm is done by hand and so that involves lots of help. Chris and Denise work with local staff, intern volunteers and their 4 children to plant, cultivate, harvest the vegetables and go to farmers markets, manage the livestock and bring in the grain, and hay crop. Dundas Farmers Market – Thursday 3pm-7pm located on Hatt St.